This time of year leaves me feeling a little like the Cookie Monster: “Me want cookies!” And I don’t want just any cookie, I want cut-out cookies. I love cookie cutters. I might love them a little too much. My 200-plus cookie cutter collection even boasts an armadillo-shaped cookie cutter. 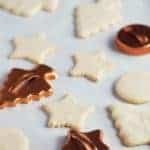 When I want to make use of my excessive cookie cutter collection I turn again and again to my recipe for basic cut-out cookies. 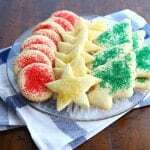 As written, it makes delicate vanilla-scented cookies that strike a nice balance between sweet and buttery. But like most bakers, I like to adjust my recipes from time to time. Happily, this recipe welcomes change! If you crave a more robust flavor, swap brown rice flour and brown sugar for the white rice flour and granulated sugar. Or you can add some lemon zest and oil instead of vanilla extract. 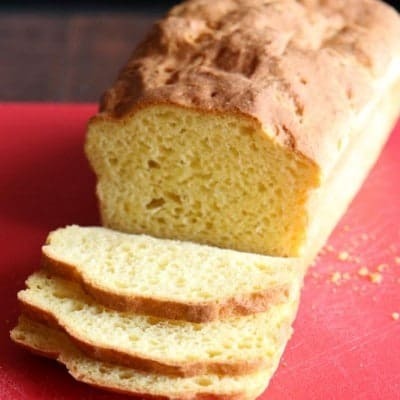 Flours: Use a different gluten-free flour, such as brown rice flour or sorghum flour. They’ll both provide you with a deeper flavor and color. 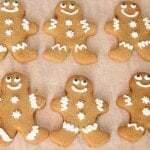 Sugars: You can replace the granulated sugar with brown, raw, granulated maple or muscovado sugars. 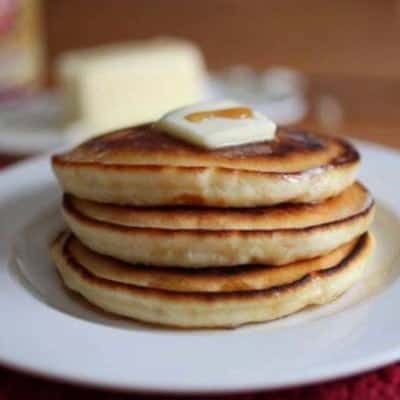 Just be sure to avoid using a liquid sugar (like honey or maple syrup). Dairy-free: Use a solid non-dairy replacement, like shortening or coconut oil. Be sure you use a solid, not liquid, fat replacement. In medium mixing bowl, whisk together white rice flour, cornstarch, sweet rice flour, baking powder, salt, and xanthan gum. Set aside. In standing mixer fitted with paddle attachment or large mixing bowl with hand mixer, beat butter and sugar on medium-high speed until a thick paste forms, about 30 seconds. Scrape down bowl. Add egg and vanilla, turn mixer on to medium speed. Blend until incorporated, about 25 seconds. Turn off mixer and add dry ingredients. Turn mixer to medium-low. Blend until a dough forms, about 30 seconds. Dough might be dry, especially if you are using shortening. If this is the case, add 2-3 teaspoons water. Pat dough into round. Wrap tightly with plastic wrap and refrigerate for two hours. Preheat oven to 350°F. Line two baking sheets with parchment paper. Remove dough from refrigerator. Allow to dough to stand for 10 minutes or until slightly soft. Generously dust countertop with white rice flour. Roll dough out about 1/4-inch thick. 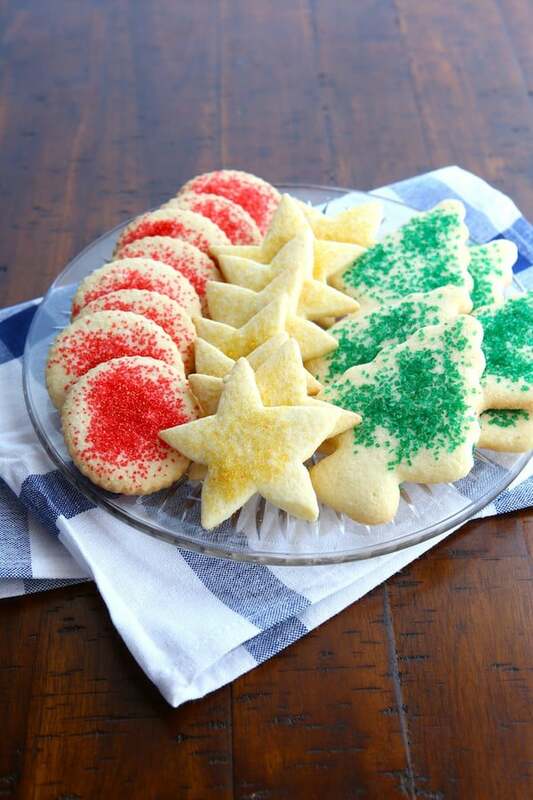 Transfer cookies to a wire rack to cool. Repeat with remaining dough. Gluten-free cookie dough can be gathered into a ball and re-rolled. Be sure to bake cookies on cool baking sheet. I usually bake one sheet of cookies at a time. This allows baking sheets to cool between batches. Have you ever made these as chocolate cut outs? Or can you suggest how to do it? I haven’t! I’m not sure how much cocoa powder to add to convert these to chocolate cookies. 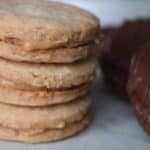 I’d be happy to create a chocolate cookie cut-out recipe for you! Glad to hear they worked even with the substitutions! What is sweet rice flour and where can you get it? 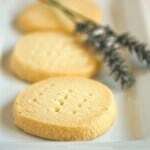 Can you substitute and use just 1 1/2 cups of white rice flour in the gf sugar cookie recipe above? Sweet rice flour is made from short grain (aka sticky) rice. 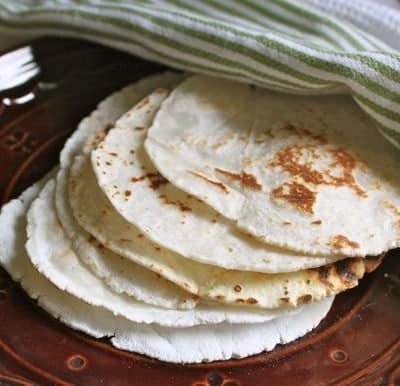 And, yes, if you can’t find it, you can replace it with white rice flour. Are you using regular or superfine white rice flour?